Enjoy working with you. We appreciate all that you do for the church. Wickersheim & Sons is a family owned and operated plumbing, heating and cooling company, which has been servicing the Bergen County area since 1926. We specialize in serving our customers the way our grandfather did. If you like to be treated fairly and honestly, responded to promptly, and the work performed cleanly and in a timely fashion, then you want us to work for you. 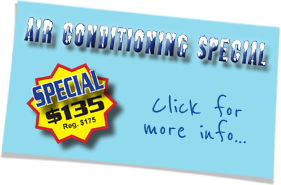 We have over 80 years experience in plumbing, heating, and air conditioning service and installations.